Get to the source of the problem and release tightness and pain naturally. Learn the skills and resources to take care of your body from the inside out. Use these Qi Gong practices for a tension free body, a relaxed upper back and neck, and a calm clear mind. Imagine a pain free, relaxed upper back and neck. Most people experience pain and discomfort in this area at some point in their lives. Living in an age of repetitive motion and inactivity causes tension to accumulate in the upper body. Qi Gong teaches basic stretches and exercises to compensate for muscular tension, nerve irritation, or injury to this area. Qi Gong, for thousands of years, has helped people alleviate stress, clear tension, and calm the mind. Through gentle stretching, deep breathing and flowing movements, Qi Gong clears areas where we chronically hold stress. 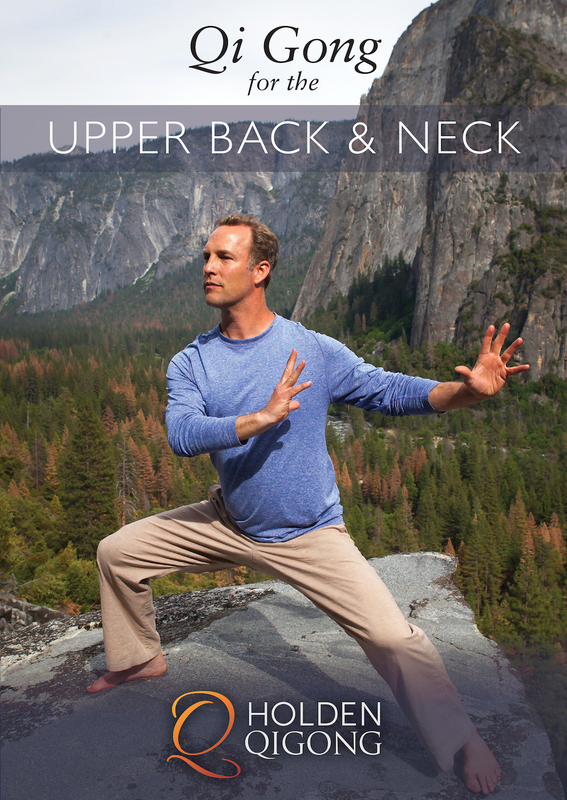 Join Qi Gong teacher and PBS favorite, Lee Holden, in a simple and easy to follow routine that increases circulation and energy to the upper back and neck.